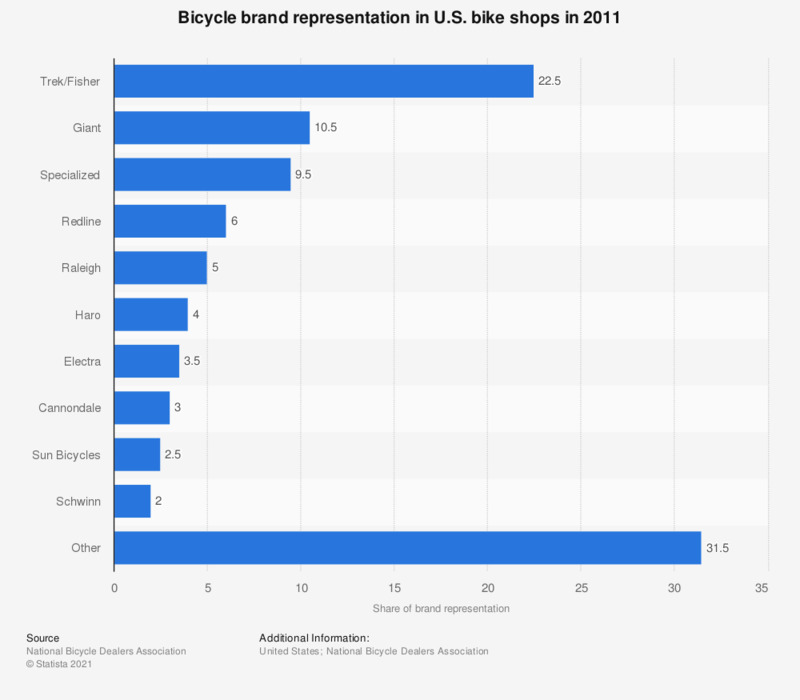 This statistic shows a ranking of major bicycle brands in the United States, based on representation in bike shops in 2011. In that year, Wisconsin-based Trek/Fisher had a share of representation of around 22.5 percent. How much do you agree with the statement that the shared bicycle system you use the most offers a good cost-benefit ratio? Which shared bicycle system do you use the most? What convinced you to register at the bicycle share system?